Just imagine that you could travel through time or that you could be any animal you wish to be, or that you could be really big, or indeed very small! What would you be, what would you do, where would you go? 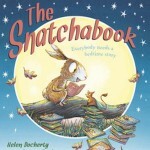 With an huge array of choices, this new offering by the duo behind the hugely successful You Choose offers endless combinations to encourage the storytelling and creative play in young readers. The text is very succinct, yet in rhyming form, introducing the theme of the spread, seeding ideas in young readers’ minds, then allowing for the pictures to do the rest of the “talking”. 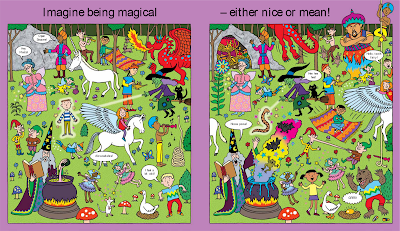 Each double-spreads has a theme (animals, underground, sky/sea) and each is jam-packed with details, in the bold and bright style that Nick Sharratt is much loved for. With eclectic takes on each theme with the spread and some humorous touches to be discovered, the pages are overflowing with stories waiting to be told. 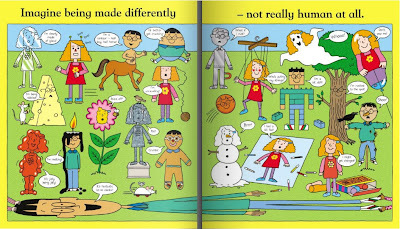 Young readers’ imagination will be tickled by Just Imagine, and this will instigate many hours of inventing, telling, and acting out stories. It is wonderful to have such a powerful too to unleash children’s creativity, and allow them to take the lead, and will be therefore much used and loved both at home and school. 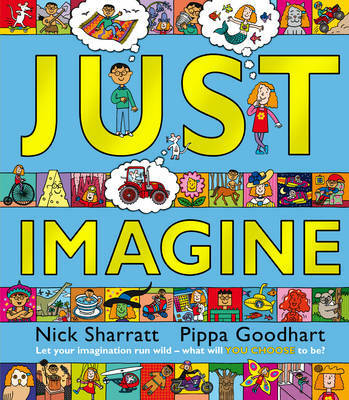 Without a doubt, Just Imagine has the potential to become a firm family favourite, just like its predecessor You Choose, which has sold over one million copies worldwide. 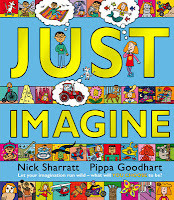 Would you like to win a copy of Just Imagine? 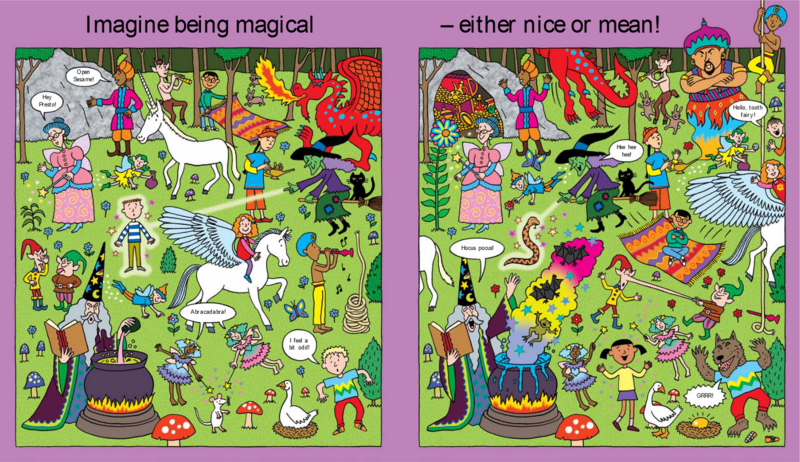 All you have to do is look at the “Magical” spread below, and create a short story inspired by anything you notice on it. Use the form below. Please fill in the age section if the story was created by a child!